Since 1955, when the Japanese government began awarding the title of Living National Treasure (Ningen Kokuho) to various craftsmen, over 30 ceramists have been honored thus far (through Aug. 2004). The first batch in 1955 included Hamada Shoji for folk craft (mingei), Ishiguro Munemaru for his iron-glazed work, the Shino specialist Arakawa Toyozo, and overglazed-porcelain enamel-ware maker Tomimoto Kenkichi. In between then and now, potters working in Bizen, Hagi, Karatsu, underglaze blue, marbled ware, and other styles have also been recognized for their outstanding achievements in maintaining certain traditions. In 1997, Miura Koheiji was added to this illustrious list. Miura is the first celadon (seiji) potter ever to reach this potters summit. He is a third-generation potter from Sado island. Miura graduated from the Tokyo University of Fine Arts and Music in 1955 with a major in sculpture. "I've always felt that before becoming a potter it was important that I learn sculpture. I still believe that strongly today and suggest to my students that they do the same," he says. In 1953 the university did not have any ceramic facilities and Miura built the first workshop and kiln and began his studies under Hajime Kato, himself a LNT recipient in 1961 for polychrome porcelains.  Miura's interest in celadon began around 1957 when he was a researcher at the Gifu Prefectural Industrial Ceramics Laboratory. He continued his research with trips to the National Palace Museum in Taiwan which has a world famous Southern Sung dynasty collection of celadons. Up until that time Miura had been making celadon using clay from Shigaraki, for he thought the clay his father was using back in Sado wasn't suited for celadon production. But in the Palace Museum, Miura turned a Sung dynasty bowl over and his body began to tremble. "I could feel my body shiver as I noticed the clay was so similar to my hometown clay. I felt like what I was looking for was always right in my own backyard." 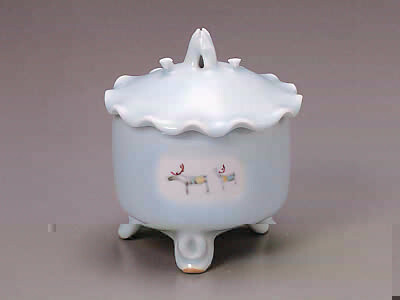 Celadon is the epitome of the potter's art and often called the most difficult style to master. It requires flawless potting, precise glazes, perfectly controled kiln temperatures and the willingness to have a high loss rate, up to eighty percent for a single kiln. Miura looks upon losses not as failures but as a necessary sacrifice in order to achieve perfect celadon. 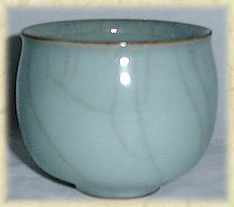 And Miura's crackled celadon wares with their soft blue glaze are the closest to perfection since China's Sung dynasty Kuan wares. Miura has traveled extensively throughout Asia and Africa and something I find most commendable about this 65 year-old LNT is that he has taken images from his "third world" journeys and placed them on his vessels. A group of Cameroon dancers swirl atop one of his covered jars, while another piece has an oxen, the kind that plows the rice paddies of Southeast Asia. Other pieces have underglaze figures painted on, such as camels, Islamic symbols, lotus flowers, or small Chinese fishing boats. It is refreshing to see a great Japanese artist looking to these "developing" countries for motifs to be placed upon such royal celadons. It is Miura's plain crackled celadon that holds the breath of the viewer, while his painted wares are his playful spirit jumping continents.